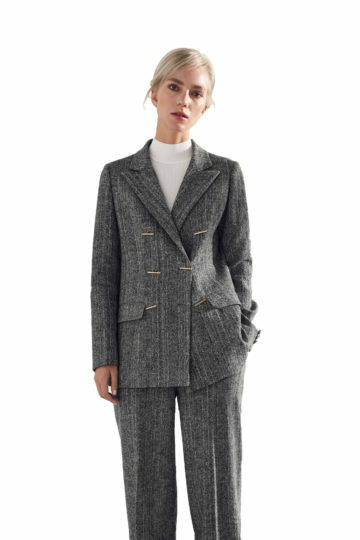 Sleek blazer with buttons on the side, which gives the normal blazer a run for its money. Can be worn to work and finer dinners. Wear with heels to perfect the look.